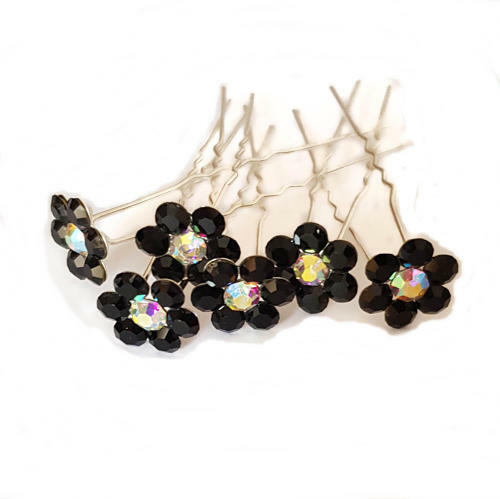 Beautiful sparkley black crystal hair pins in the shape of a flower, with an ab crystal in the centre which shimmers differnet colours. Set on silver plated pins. Perfect to add some sparkle & class to any hair style.